The new VHB LED High Bay is designed for a wide variety of applications and mounting heights with a balance of fixture performance and affordability. 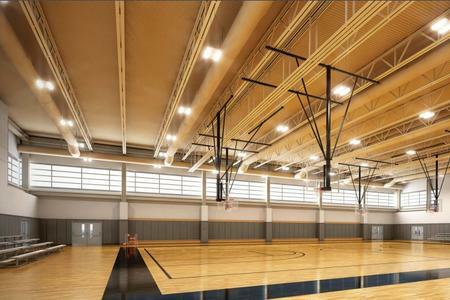 Precision-designed optics, multiple distributions, lumen outputs and color temperatures make the VHB ideal for industrial, commercial, manufacturing, gymnasium, and other applications that utilize traditional linear fluorescent and HID high bays. The proprietary discrete, low-glare LED module assembly offers exceptional optical performance with the enhanced benefits of LED lighting, including energy savings and extended system life.​ Contact our LED lighting distributors today for a lighting ROI calculation compared to your existing set-up or to see a sample in action. Capture the benefits of traditional lighting controls, without complicated coverage planning or special wiring using a sensor in every fixture. Ideal for new construction or retrofit fixtures. With the SVPD series, integrated sensors have automatic occupancy detection and daylight dimming out of the box, immediately saving energy. The lighting system will turn on automatically, dim to a preset level, and begin to raise/lower to a default light level. The fixture will also turn off when no one is around. 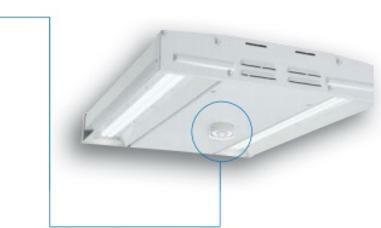 The integral daylight sensor* reduces the need for special daylight zone planning. Each luminaire will automatically adjust the light level based on reflected light beneath the sensor. Contact our lighting distributor company today!